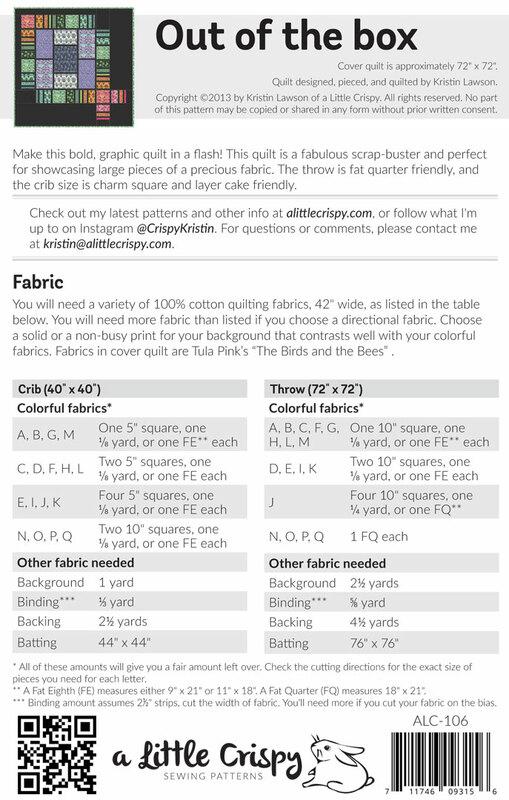 Make this bold, graphic quilt in a flash! 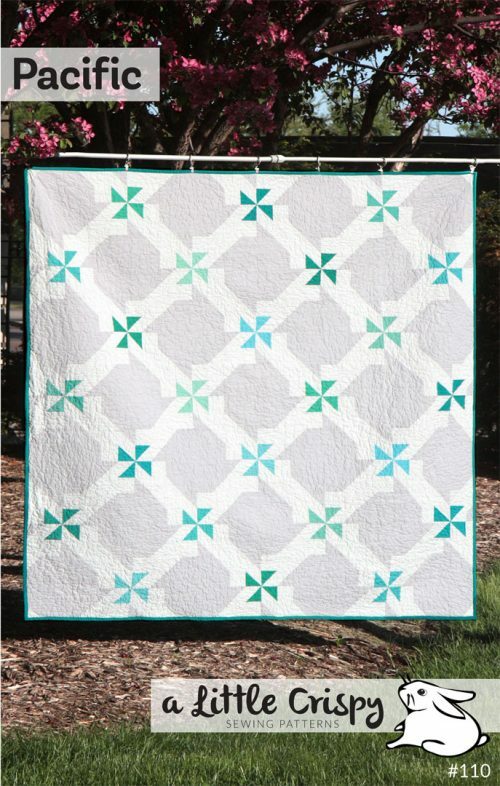 This quilt is a fabulous scrap-buster and perfect for showcasing large pieces of a precious fabric. 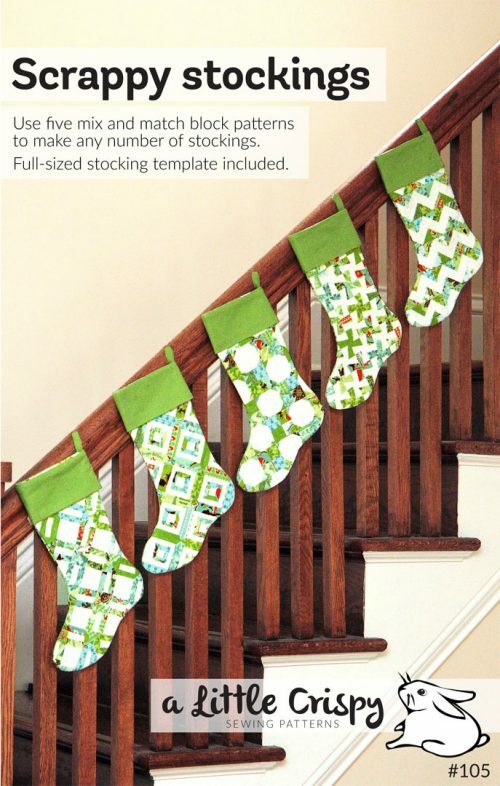 The throw is fat quarter friendly, and the crib size is charm square and layer cake friendly. The throw is a nice generous 72 x 72 inches, but is easily adaptable to bigger sizes by adding more background fabric or a border. 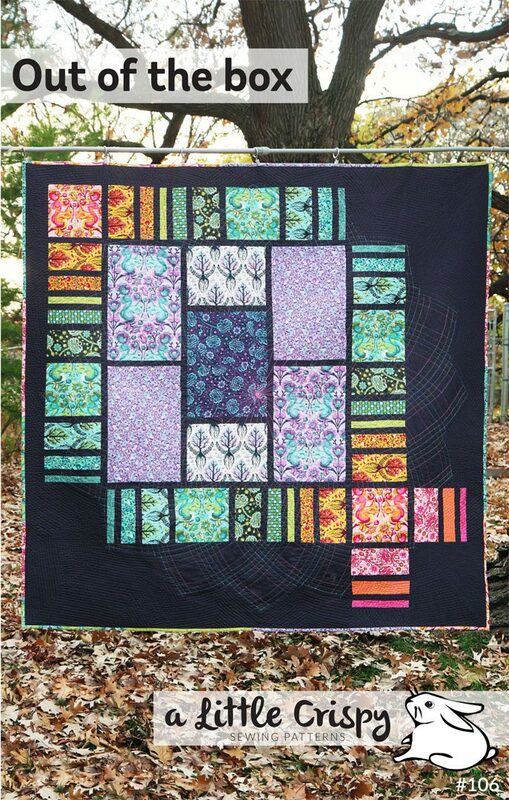 The fabric used in this quilt is “The Birds and the Bees” by Tula Pink.